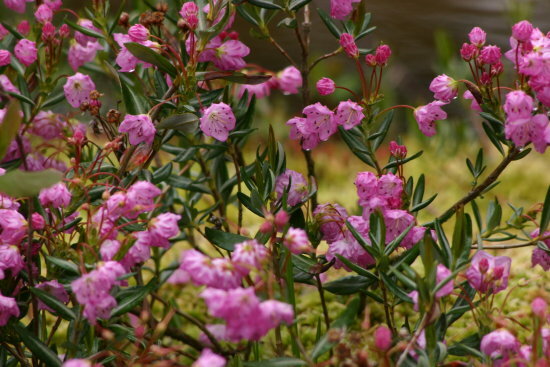 These pretty pink flowers were growing on mossy mats attached to floating logs in a small lake at approx 400m. Picture was taken on May 21, 2007. The clusters stood approximately 30-40 cm tall.